Sometimes I feel like my journals keep me. They keep me sane, keep me engaged, keep me feeling creative even when I don’t have time for larger creative endeavours. I’ve been teaching journal-writing for years, and most recently as part of the Day Retreats at Zing. Teaching is a good reminder to me in how important it is to keep on with journals. People often start the journal workshops with slightly skeptical, guarded expressions…(I don’t know what they are thinking, but I imagine it is something along the lines of ‘Is she going to make me write about my feelings and then read it out?’) but after a couple of hours of my raving and sharing my work wth them, they light up, they see possibility, they go out the door with a new resolve. Now that book one is nearly birthed, I am working on the next projects. There will be more poetry, of course, there’s another thing I’m working on which I am calling ‘writing blobs’ at the moment, because I’m not sure what they are yet – not poems, not stories, just blobs. Finally, I want to write a journaling book. I’m feeling my way into what that might look like – probably a mix of my teaching and my own journal pages. Would you read a journaling book? What would you like to see in a journaling book? I love reading journalling books. and I love reading anything you write. So YES PLEASE! I’m more interested in looking at other people’s journal pages than in reading how-to’s these days, but that’s probably because I have a well established journalling practice myself. For all my pleasure in the work of Keri Smith, I feel like following her directions leads me from my own path. Whereas something in a little corner of someone else’s page… or the feeling of a page, will be enough to get me going! You should definitely include a section on collaborative journals like your one with Helen. I’ve been thinking about how to make Response #2 more collaborative and interesting than the first one and would welcome suggestions on that at this point (did you get your copy yet?). Hi Meliors – thanks for your thoughtful response. Yes, I DID get my copy of the journal in the mail the other day and it was lovely to have something yummy in the mail. Thank you so much! I agree with you about ‘how to’s’ losing their resonance as you get older/more experienced. I feel the same way. I think perhaps with collaborative work, having a clear instruction that your work should somehow respond to or expand on or relate to the previous piece might be a way – or even have people abandon their entries at an unfinished point and then the next person has to take off from where they left? Or perhaps they could ask the next contributor some specific questions? Make it more like a conversation…? I’m also a long-term journal keeper. What inspired you to start? I think I had two starts – one when I was about 12 and wanted to write my life like it was a novel. I ended up in a bit of trouble about that – my parents read it, and also some classmates. A few years later, when I was about 15 I think, I read a book called ‘Becoming a writer’ by Dorothea Brand (I think), and she recommends writing in your journal twice a day – once when you’re just waking up, and then again later. I have never been very disciplined about my journal-keeping, and it quickly degenerated into much more shallow stuff and what’s going on in my life – I identify with Katherine Mansfield’s quote about her ‘huge complaining journals’. They’re also the place I write the first drafts of everything, and make lists, and occasionally even explore ideas. I’ve quite often reread them – to see who I was at a particular point in my life, and what was going on. Remembering things I’d forgotten, and understanding some things better. But I’ve not really used them for anything – reworked anything in them into something creative. And they are so, so private for me. (Sean is under instruction to destroy them unread if when I die). 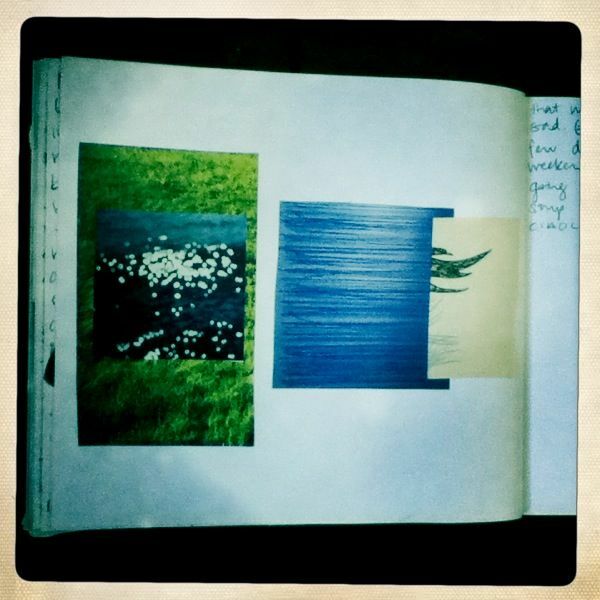 But I’ve been inspired by people (including yourself) who have used their journals in their art in some way. I’ve always enjoyed reading other people’s journals too – they can be a place of amazing thought, and amazing writing. I haven’t read a lot of ‘how to’ books, but I can see that various examples of ‘what you could do’ rather than ‘what you should do’ would be wonderful. I like your idea! Do you have any favourite published journals? I loved the title of this post and your reasons for saying so. Our journals can carry so many roles, including being a spring board for creativity of all shapes and sizes. They are the perfect place to dream and make those dreams a reality! I have chosen your post, My Journals Keep Me, as the #JournalChat Pick of the Day on 10/26/11 for all things journaling. I will post a link on Twitter, Facebook, LinkedIn, my blog and website Refresh with Dawn Herring, and in Refresh Journal: http://refreshwithdawnherring.blogspot.com/. You’re welcome to join us for #JournalChat Live on Twitter every Thursday at 4 CST/2 PST for all things journaling; for tomorrow’s chat we will discuss how to use our journals for investigative writing to help us determine what we want, need, and desire. Thanks again for sharing your journaling and creative experiences. Wow, thanks for choosing my post, Dawn – that is really lovely! I will go check out ‘refresh’ blog and seek you out on twitter. Thanks heaps, Helen. Hi, Helen– I am here through the link that Dawn posted on her journaling site, and I’m glad that she has shared with all of us your journaling projects and thoughts.